More speakers to be announced in the upcoming weeks! 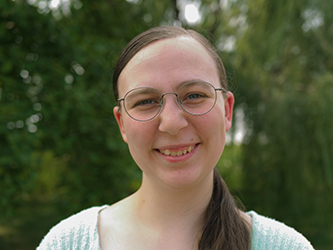 Nicole Archambault (@lavie_encode) is a Boston-based self-taught front end web developer, and educational technology/self-education advocate. Her narrative is largely centered around the experience of the self-taught programmer. This closely relatable story is driven by her own challenges with early “traditional” education as a divergent learner, before transitioning careers from customer service management in 2015. Nicole hosts the beloved La Vie en Code Podcast, and is launching her first online course, 30 Days to Web Development, to help self-taught web development students evolve into confident, capable, and responsible learners aand problem solvers. 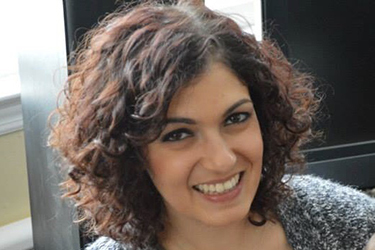 Meral Arik is a co-founder of Hello Chava, a technology start up that uses A.I. to power client relationships over text messaging. Her popular Instagram @my.startuplife is the first of its kind, documenting the day-to-day experiences of a young woman building a tech startup in Silicon Valley. Meral is also founder of DOER Society, a fast growing community for entrepreneurial women. She built this active community on the firm belief that real, shared experiences are the best way to improve & scale mentorship. Maayan is a stay at home mom of three turned coder - currently attending Bloc - a leading online bootcamp! 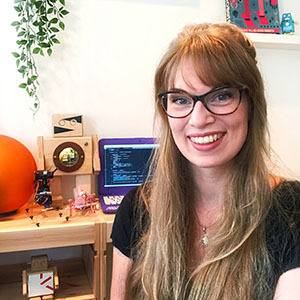 Her passion for personal and professional development, lifelong love of learning, and desire to establish a meaningful but flexible career gradually led her into the world of programming. She enjoys working with small business owners and non-profits within her community to increase their productivity and reach via technology. 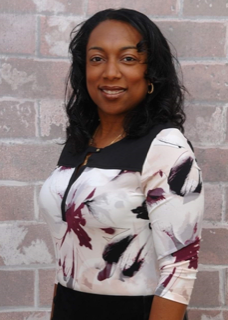 She holds her certification in transformation life coaching and Associate of Arts degree with plans to pursue a B.S. in Computer Science in spring of 2019! Claudia Maciel is a mother of two almost teenage boys and a Program Manager & STEM Educator with Hartnell Community College in Salinas, CA. She is currently a student enrolled in Bloc’s Online Web Development program and is looking forward to transitioning into a career as a Full Stack Developer in the upcoming months as she nears graduation. Cleo is a software engineer at Startechup,Inc. by day and freelance web developer by night who hails from Cebu City, Philippines. On weekends, she teach kids programming with Scratch and basic electronics/robotics with Arduino. She loves learning and creating things, and is passionate about sharing her knowledge with everyone. Amie Croteau is a freelance front-end web developer. Her passion for learning technology blossomed into a way to create a new life for her family with a complete career change from retail management. Deciding to pursue all forms of learning, she went for this change in pursuit of both a bootcamp and higher education. She recently graduated with her Associates of Applied Science Degree in Web Application Development. Currently, she is an undergraduate student pursuing her Bachelor of Science degree in Information Science and Technology with an option in People, Organizations, & Society at Pennsylvania State University. Amie also is a member of the current Udacity Grow with Google cohort pursuing her Front-End Nanodegree. Amie believes in lifelong learning and it is truly possible to change your career direction as long as you stay hungry to learn, open to change and are not afraid to fail. 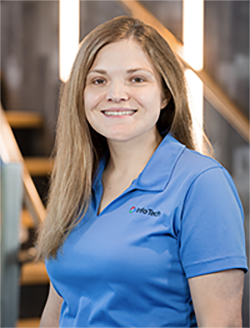 Jenn Edge is an Assistant Director of Development at Info Tech, Inc. who works with developers, business analysts, and project managers to successfully lead design, development, and delivery of a large enterprise web development project. After 12 years of professional development experience and personal study in resilience, Jenn believes in the power of continuous, iterative improvement that underpins agile development and positive psychology. 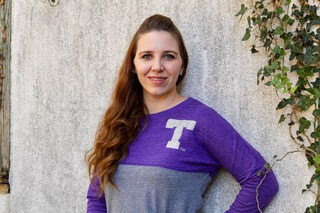 Jenn has grown from Programmer to Assistant Director by continuously improving her technical, leadership, and communication skills while balancing life as a mother of two. 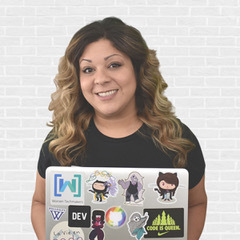 Jenn is an AWS Certified Cloud Practitioner and holds a BS in Computer Engineering from the University of Florida. With a background in languages and education Sian has recently shifted her focus from human languages to computer languages, in pursuit of her passion in learning technologies. Sianbelieves in empowering learners to take control of their learning by leveraging the growing wealth of online resources and communities. A lifelong learner herself, she is learning to code remotely while balancing motherhood and full-time teaching. 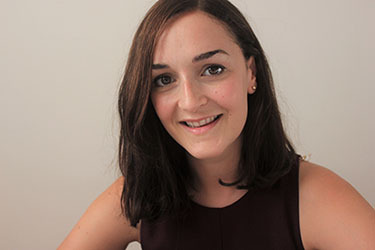 Originally from the UK, Sian has lived in Istanbul, Turkey for the past ten years, where she enjoys ferries across the Bosphorous, drinking Turkish tea and reading a good book. Follow her learning journey at spinofflearning.com. Half-Cuban Mom of 3, originally from the Seattle area but now transplanted in Texas. Runner, reader, biology nerd, and coffee-lover. Recently named a freeCodeCamp Top Contributor, and currently working as an HTML Designer & Manager..
Sue Jenkins is a fine art photographer, designer, illustrator, writer, speaker, and founder/creative director of Luckychair.com, a full-service web and graphic design studio serving companies across the U.S. Sue worked as an Adobe Certified Photoshop, Dreamweaver and Illustrator software instructor at Noble Desktop in New York City for eight years. 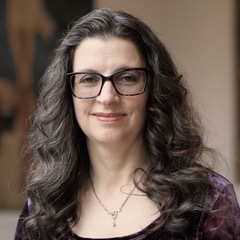 Sue currently works as an assistant professor of art at Marywood University teaching courses in graphic, web, and interactive design. In addition to authoring several “For Dummies” and other instructional books on Web Design, Dreamweaver, Illustrator, and Photoshop including Web Design All-in-One For Dummies (Wiley) and Smashing Photoshop: 100 Professional Techniques (Wiley/SmashingMagazine), she is an award-winning Adobe Certified Expert & Adobe Certified Instructor appearing in several internationally renowned online courses at Lynda.com and LinkedIn Learning. Sue holds a BA in Sociology and an MFA in Photography and lives with her family in Pennsylvania. Kristen Kehrer is a data scientist who delivers innovative and actionable machine learning solutions in business. 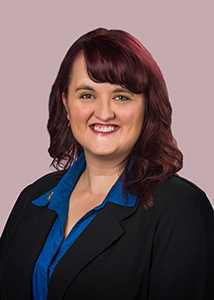 Kristen believes that the information gleaned by data can create fascinating stories and offer invaluable guidance in making strategic business decisions. 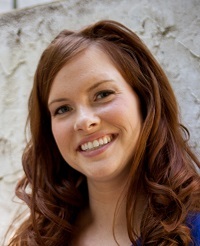 Kristen has been a data scientist for 9 years with experience in eCommerce, healthcare, and the utility industry. Kristen holds an MS in Statistics and a BS in Mathematics. Ashley Kirkwood, author of "The Law School Hustle," is an academic success and education fanatic. After graduating from law school, practicing at one of the largest law firms in the world, and realizing the extreme lack of diversity within her profession, she and her husband decided to start a nonprofit organization, The Kirkwood Foundation, which is dedicated to increasing diversity within the STEM, legal, and medical fields. The Kirkwood Foundation provides after-school programming and high-quality college preparation coaching that covers how to navigate the American financial aid process, drafting a winning personal statement, and acing college interviews. They have counseled countless families through the cumbersome financial aid process and helped countless students receive admittance to college through a well-packaged application packet. Stay in touch with Ashley at thekirkwoodfoundation.com. Marika Könönen is an entrepreneur and CEO of her family company Finnmotion Oy. She teach kids, youth and adults to code. Her passion is to get more girls and women to come in tech industry by changing the preconceptions about coding. 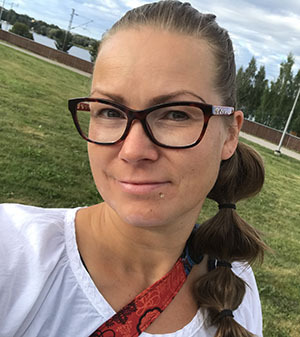 Marika holds a Bachelor’s degree in Software Engineering from Metropolia University of Applied Sciences. You can find her on Twitter, Instagram, Facebook, or at codeformylife.com. 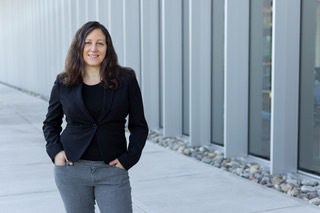 Renée Lahoff has a Master of Computer Science degree and programmed for twelve years before leaving the workforce to stay at home full time with her daughter. Her most satisfying work was in making computer games for children. Now as an empty nester she is a Content Manager, instructor and active member of Moms Can Code. 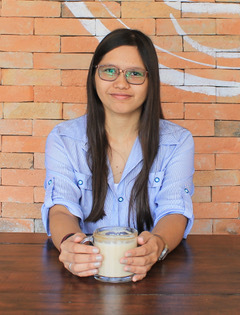 She continues to pursue her love of programming games as an indie game developer, hackathon participant and blogger. Frauke Lüppken is the founder and CEO of Kallisto Consulting GmbH, a small IT consulting company based in Germany. She also works as Senior IT consultant and as a solution focused coach for change. Her goal is to empower as much women in tech as possible. Frauke is also a mom of a 2.5 year old and a member of MomsCanCode. Laura is the Technical Manager at the W59th St Power Plant of Con Edison in New York City. She also is a Success Coach for women in male-dominated fields. Laura is known for her operational planning capabilities, her negotiation skills, and her commitment to the development of her teams. Prior to her current positions, Laura has worked in Ireland as an entrepreneur, and at MIT Lincoln Laboratory as a mechanical engineer. 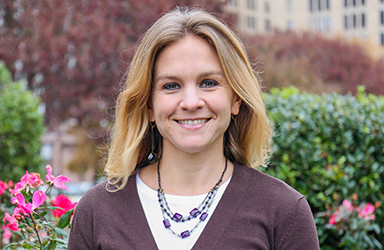 Laura holds a BS in Mechanical Engineering from Tufts University, an MS in Energy Management from New York Institute of Technology, and is pursuing her PhD in Organizational Leadership at The Chicago School of Professional Psychology. Laura is passionate about helping women thrive and achieve success in both their work and home lives through mindset and strategy development. Rashim Mogha is a Senior Director of Cloud Infrastructure at Oracle. Rashim is a dynamic, outcome-driven leader and is passionate about driving customer success through training and enablement. Her extensive career portfolio consists of prominent companies, such as Amazon Web Services (AWS), VMware, Hitachi Data Systems, and NIIT. Rashim is a thought leader and an evangelist for women in technology. She has been on speaker and mentoring panels for organizations, such as Girl Geek X, Oracle, LinkedIn, Pandora Music, NextPlay, Women Transforming Technologies (WT2), and Pyladies. Her thoughts on leadership, innovation, women in technology, and training and certification strategies have appeared in publications like Association for Talent Development (ATD), Thrive Global, and Forbes - see here and here. 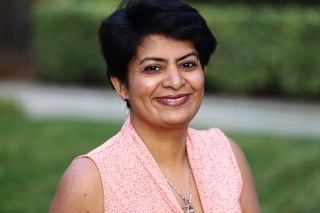 In her current role as Senior Director, Product Management at Oracle, she leads the strategy for customer enablement through training and certification. Rashim is a published author. She is passionate about the power of positivity and coaches leaders to recognize, visualize, and actualize success using the power of positivity. She has recently started collaborating with the Mayor of Dublin, California to bring mindful leadership program for children to Tri-valley. Connect with or follow Rashim on LinkedIn or on Twitter. Visit her website. 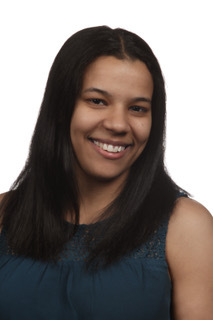 Ashley Peters is a Software Engineer with experience producing solutions for the supply chain and logistics industry to accomplish varied business needs within a greater application. Her goal is to make coding accessible to all as she works to improve the training process and documentation for new developers. She believes that technology and coding skills intersect with all aspects of life and teaches programming to underrepresented groups through organizations like "Girls Who Code". Ashley shares her passions on her blog "Armadillo Bulldog" where she discusses her experiences in technology, adulting, and motherhood. 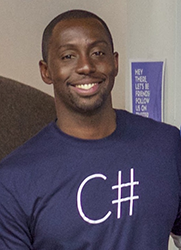 Cecil Phillip is a Caribbean native and software developer with almost a decade of experience in software development. Over his career, he has specialized in creating solutions using web technologies, .NET and Microsoft Azure. Today, he works for Microsoft as a Cloud Developer Advocate where he helps developers be successful with their applications in the cloud. He also co-hosts the Away From The Keyboard Podcast. You can follow Cecil on Twitter. Arjita Sethi is a the cofounder of Equally which has a mission to give equal education and opportunities to everyone. 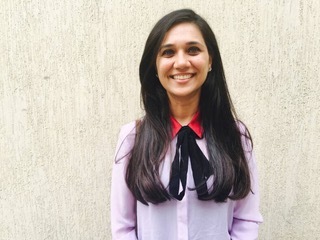 After founding a school in India in 2006, Arjita realized that technology was disconnecting children from the real world and so she is now building a social network in Ar to connect children to the real world and their peers. It is called Da Vinci Club due to Da Vinci’s deep interest in various subjects from the arts to the sciences. Charley Silva is a mathematics teacher working with students looking for a non-traditional way of learning and earning their high school diploma. Charley believes that every person is valuable and can learn and achieve. She also believes that lifelong learning is key to continued growth, that it looks different for each individual, and that it can take many different forms throughout life. Charley worked as a tutor and supplemental instruction leader while completing her undergarduate studies as a non-traditional student. She is a certified Network Pro with studies in cloud computing, programming, and mathematics. 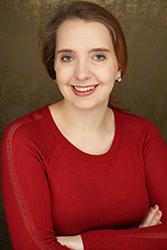 Charley holds a BS with emphasis in mathematics, computer science, and psychology from Tarleton State University and is working on her MS in Information Systems: Software Development Engineering from the University of Maryland-UC. Catalina is a digital education expert who works with organizations to create and design training programs to achieve higher performance. Catalina believes that everyone can and should be a lifelong learner. Catalina has worked at different public and private organizations in the UK, the US and Colombia providing analytical and strategic solutions to solve issues related to learning and development of young people and adults. Catalina is a trained foreign languages teacher in the UK with a master in international relations from the London School of Economics and a BA in economics from Universidad de los Andes in Colombia. Francesca is an entrepreneur, Freelance UX designer, Founder and CEO of Robotvilla (a kids tech studio on wheels), learning Full Stack web development, and a mother of two children. As a freelance UX designer, she works on expert systems where she bridges the gap between the users and the development teams. She wants to build out her UX skills by being able to code what she designs. She coded 20 years ago and is happy to be coding again. In her mobile Robotvilla studio, she discovers the world of tech with kids from 5 and up, by crafting electronic projects, making cardboard robots and playfully teaching coding basics using educational toys and apps. Kesha Williams is an award-winning software engineer with over 20 years’ experience specializing in full-stack web development. She’s passionate about emerging technologies, speaking, teaching, and mentoring. She’s trained thousands of software developers in the US, Europe, and Asia while teaching at the university level. She routinely leads innovation teams in proving out emerging technologies and shares her learnings at technical conferences around the globe. She recently won the Ada Lovelace Award in Computer Engineering from Look Far and the Think Different Innovation Award from Chick-fil-A for her work with Artificial Intelligence (AI). She was recently featured in Amazon's "Alexa Women of Voice" campaign and A Cloud Guru's #WePowerTech series. In her spare time, she leads the Georgia chapter of Technovation, writes news for InfoQ, authors video courses, mentors women in tech, and conducts free coding workshops for children at her local library.